The NephroCalc™ App includes most formulas and equations used in the daily assessments of patients with kidney disease. It incorporates more than 100 equations and innovative MultiCalx™ Master panels for combined calculations, assuring convenience and accuracy. NephroCalc™ facilitates the organization and processing of Patient's data. It is a physician-friendly™ app, intuitive and very easy to use. **See also MediCalc® 8, Medical Calculator System™, >300 equations. 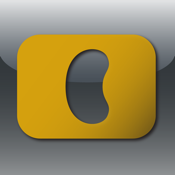 NephroCalc™ is also available in spanish as NefroCalc™. Other Medical Apps developed by ScyMed include MediCalc®, LiverCalc™, EKG-card™, H&P-card™, eH&P™, etc. (mobile & online).